Christmas Stocking Stuffers – fill ‘em up! When mum casually offered to make my boys some Santa sacks a few years back, little did I know they’d be the size of the North Pole. Now every year we face the challenge of making those huge sacks look full and admittedly we need some help this year. So I’m sharing my search with you, with help from some savvy websites which have put together stocking stuffer lists of their very own! Cradle Rock have a fab selection organised and online, making it so easy to make your selections and be done with the stocking stuffer task. The gear is all $25 and under. 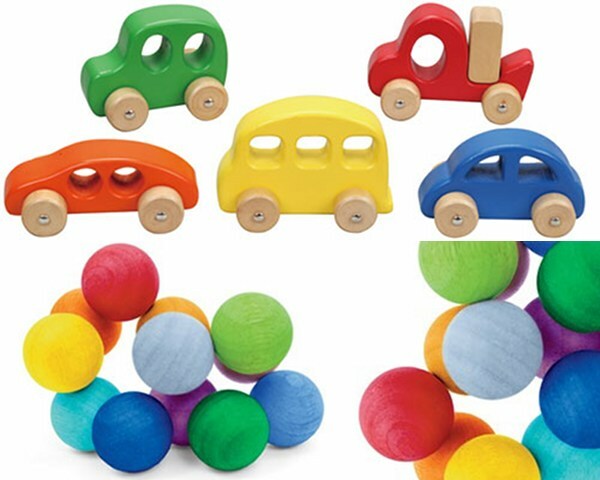 Urban Baby is stocked to the roof for Christmas and we just love these delightful wooden Classic Baby Beads ($23.95 in the Toys & Playtime, Wooden Toys section) and Wheelies Wooden Car Sets ($39.95 in the Boys’ Gifts section). There is also a great list of Gift Guides to suit all different budgets and ages. You’ll find the guides listed third in the ‘Shop’ menu on the left. Billy Lids have a great gift range just perfect for babies’ stockings. 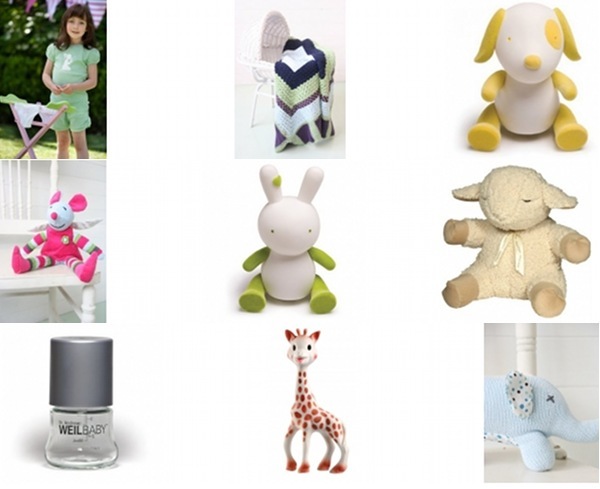 Fluffy toys, groovy glass Weil Baby bottles and lovely night lights as well as a cotton blankie for cooler nights. 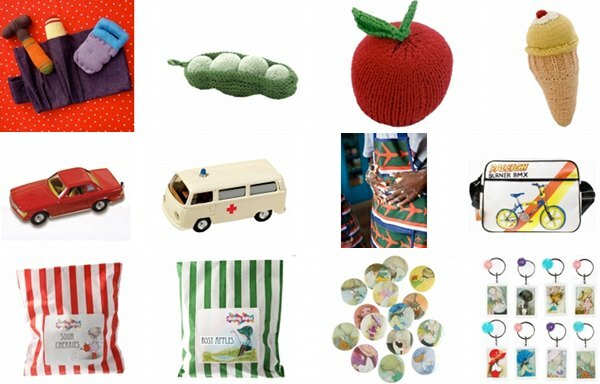 Lark’s knitted rattles are an absolute must-have for any baby’s stocking and their vintage reproduction cars will delight your little transport addict. We also think the Daisy Lane range will thrill little collectors. Take a look at Lark’s beautifully-arranged Christmas Shoppe and you’ll have that stocking or sack sorted in no time. Another fab one-stop-place for stocking stuffers is Baby’s Got Style. 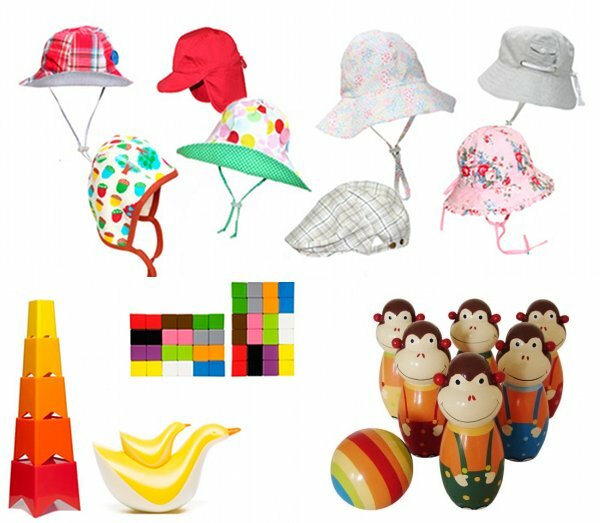 It has an Under $15 category for just this purpose as well as many more ideas on the site, such as the Monkey Skittles and Kid O range. Where Did You Get That? 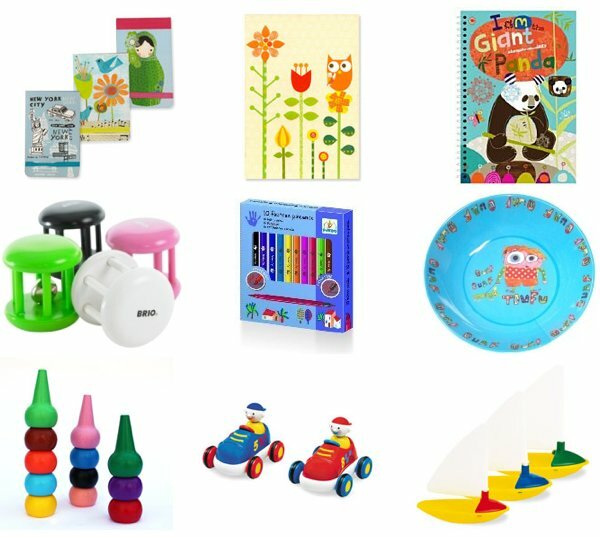 has a great Stocking Stuffers section and Quirky Kids Online has great options in its sale section if your budget is beginning to be a little stretched! Tribe has also compiled a list of great stuffers.